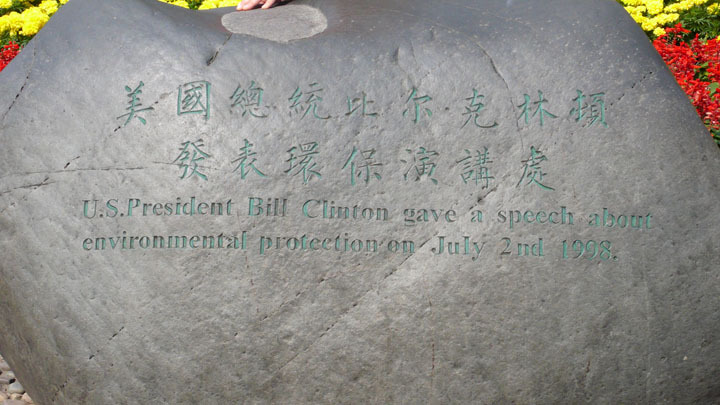 subtitle: "U.S. President Bill Clinton gave a speech about environmental protection on July 2nd 1998"
Guilin, central south China. 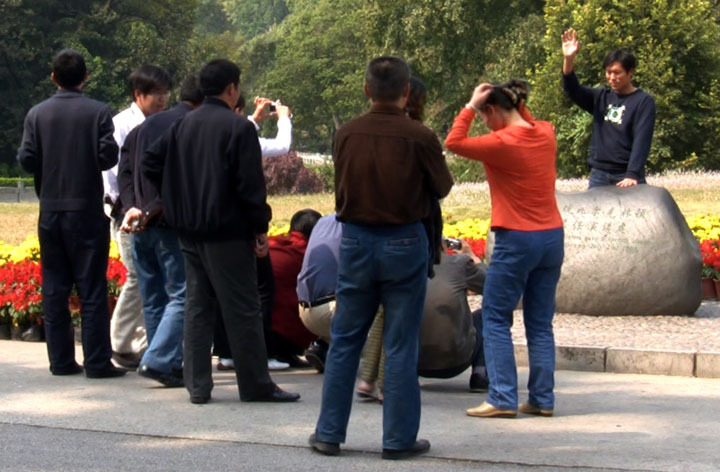 Chinese tourists are posing in a parc behind a stone where U.S. President Bill Clinton gave a speech about environmental protection on July 2nd 1998. They are reproducing a common image of talking representants of a nation doing a public lecture. The gestures they come up with vary between allmost Nazi Hitlergruss to the common known raising of the hand of Communist leaders. 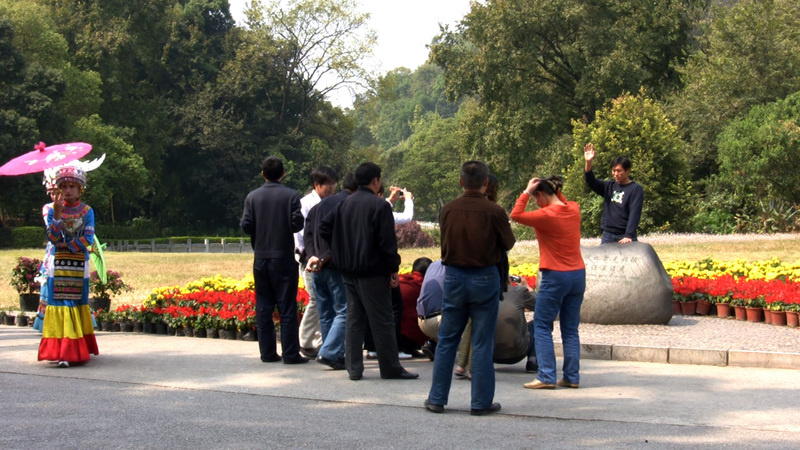 The videography should be shown on a high definition flat screen or as a projection on a wall. computer or HD-DVD player; HD projector or flat screen; size of video: 1920x1080 pixels; active speakers.